Once the target of angry environmentalists everywhere, pickups have greened up their act considerably. Lightweight construction, turbocharging, cylinder deactivation, and improved aerodynamics have made some full-size trucks more efficient than many cars on the road. Of course, efficiency and economy are nothing new in the truck world. Long before pickups were personal transportation, they were sold on how much work they could and how little it cost to do it. 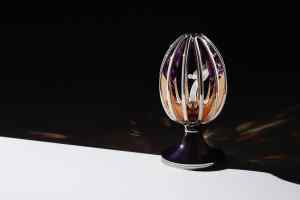 Modern regulations improving manufacturer economy are nothing more than a continuation of that ideal. We looked at the fuel economy and CO2 emissions of the most popular trucks in America. Diesels scored high for mileage, but had a harder time with tailpipe output than their gasoline counterparts. Mild hybrids are appearing on gas engines, an affordable and welcome efficiency boost. We looked at the best and the worst for both mid-size and full-size trucks. This is how they stacked up. 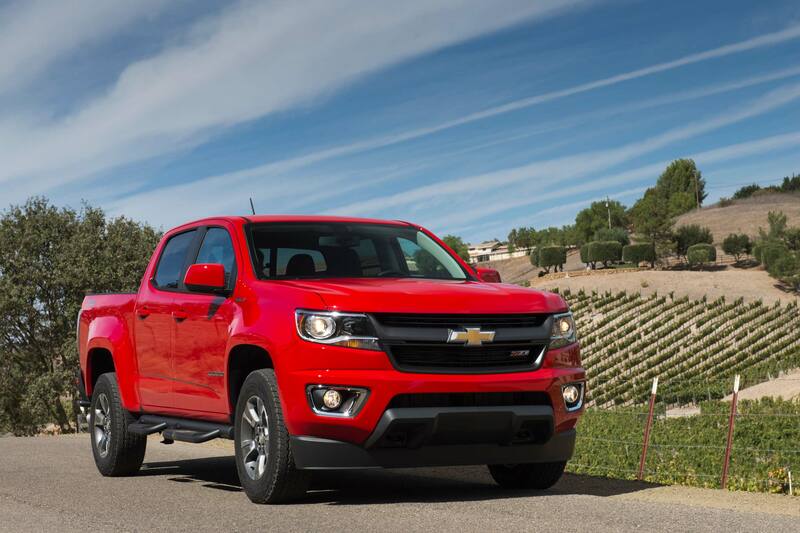 Equipped with the optional 2.8-liter turbodiesel, the Chevrolet Colorado is one green trucking machine. The optional powerplant ups economy to a whopping (for a truck) 30 mpg in the combined cycle in rear-wheel drive form, with just 413 grams per mile of tailpipe CO2 emissions. Then there’s the big diesel benefit: massive torque. Not only is the 2.8 economical to run, it produces a whopping (for anything) 369 lb-ft, enough to allow the midsize pickup to tow a 7,700 pounds. In four-wheel drive trim, the diesel Colorado is still an excellent green choice. Economy is 28 mpg combined, and CO2 emissions 450 grams per mile. 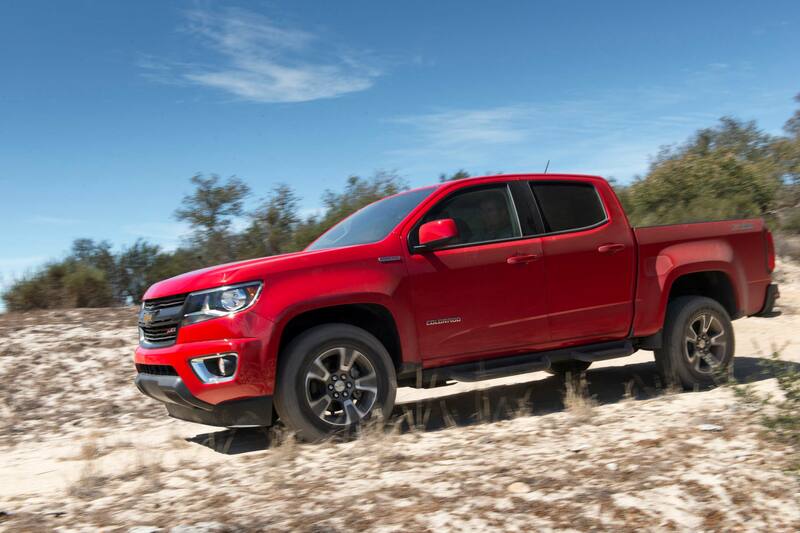 Unsurprisingly, everything about the diesel-powered Chevrolet Colorado that makes it an efficiency star is still working hard even when the engine is replaced with a 2.5-liter gasoline version. Base models come equipped with an efficient 149-horsepower I-4 with a decent 259 lb-ft of torque on tap. High-pressure direct injection, electronic throttle control, and continuously-variable valve timing make sure that every last erg of power is extracted from the fuel. Economy is an impressive 26 mpg in the combined cycle, and emissions are a low 406 grams per mile. Even with all the green cred, the 2.5-powered Colorado will carry over 14,400 pounds and tow 3,500. 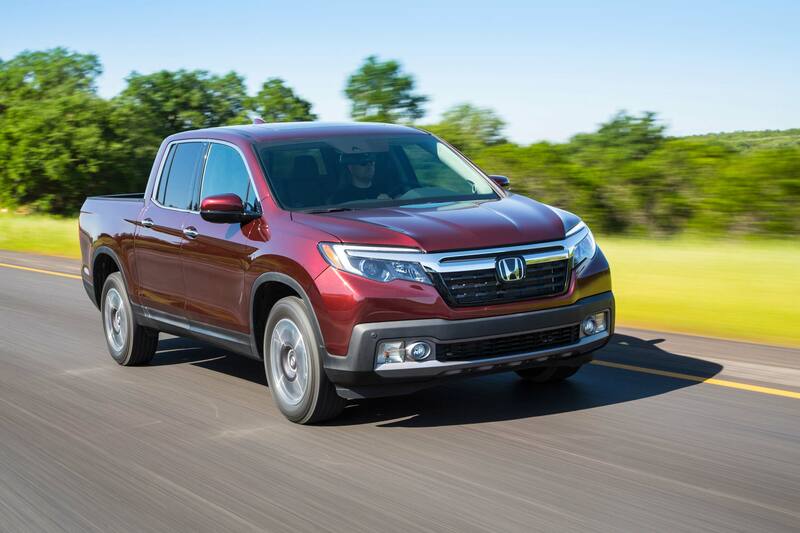 Fans love the Honda Ridgeline for its uncanny ability to multitask. Unique unibody construction gives it car-like ride and handling, yet a powerful engine and rugged frame allow the mid-size pickup to tow 5,000 pounds in all-wheel drive form. Its car-like construction pays off in other ways, too. Fuel economy is an excellent 22 mpg in the combined cycle for two-wheel drive models, and 21 with all-wheel drive. The efficient 3.5-liter direct-injected V6 saves fuel by using Variable Cylinder Management, Honda-speak for the deactivation of cylinders when not needed. Combined with variable valve timing and a wide-band six-speed transmission, the engine makes a robust 280 horsepower and 262 lb-ft of torque, but produces just 410 grams of CO2 per mile. 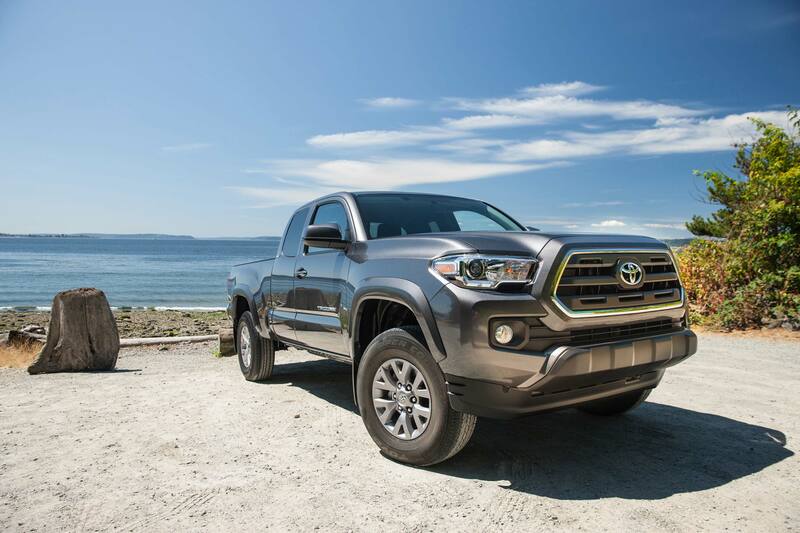 The popular Toyota Tacoma manages to be frugal with either of its two available engines when equipped with rear-wheel drive and an automatic transmission. Base models come equipped with a 2.7-liter four-cylinder that makes 159 horsepower and returns 21 mpg in the combined cycle. CO2 emissions are 423 grams per mile, and bump up to 441 with four-wheel drive. V6 Tacomas have 278 horsepower on tap and also get 21 mpg combined. Greater efficiencies are realized on the Atkinson engine with with direct injection and variable valve timing. CO2 emissions are 431 grams per mile, and 448 when all four wheels are powered. 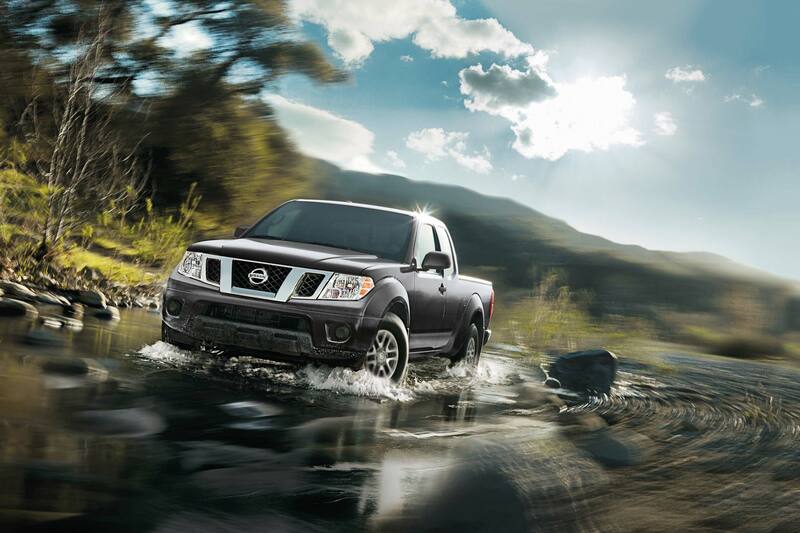 Last on the mid-size truck list is the Nissan Frontier. In base form, the 2.5-liter engine returns the best gas mileage when mated to a five-speed manual transmission: 21 mpg combined. The four-cylinder produces 425 grams of CO2 per mile. 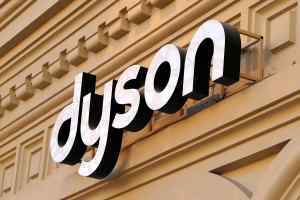 Economy and cleanliness decline when the automatic is added to the package, however. Mileage drops to 19 combined, and CO2 jumps to 466. The available 4.0-liter six returns 19 mpg with either transmission, and 479 grams of CO2 when paired with the manual. A new Frontier is expected next year, and its green score will undoubtedly rise to more modern levels. 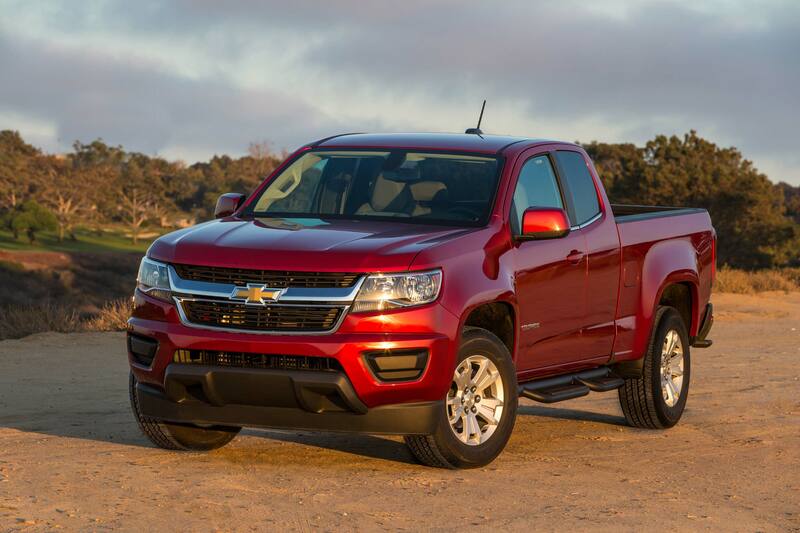 As it stands, it rates lower than many new full-size trucks. 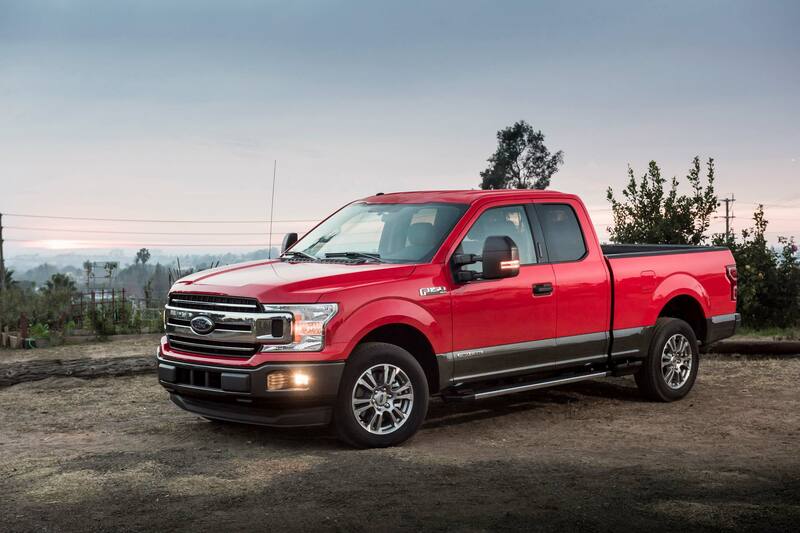 The F-150 ticks all the right boxes for economy: lightweight aluminum construction, improved aerodynamics, an advanced 10-speed transmission, a stop-start system, and turbocharging. When paired with an economical yet powerful diesel, even better. Ford’s 3.0-liter PowerStroke V6 turbodiesel steams out 250 horsepower and 440 lb-ft of torque. Maximum towing is an astonishing 13,200 pounds. Fuel economy is an impressive 30 mpg in the combined cycle, with just 412 grams of CO2 emissions per mile. Even adding four-wheel drive doesn’t dampen the big truck’s enthusiasm for the environment. Economy is 28 mpg in the combined cycle, and emissions of just 424 grams per mile. 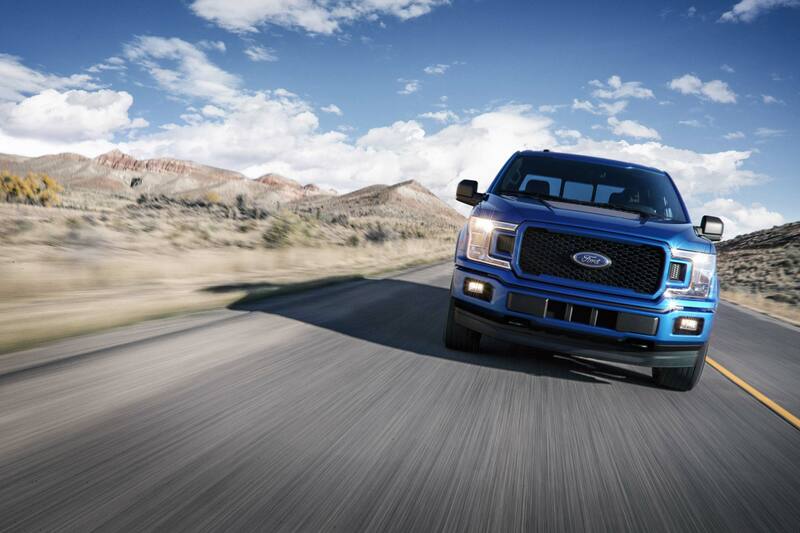 As impressive as the diesel-powered Ford F-150 is, the 2.7-liter turbo gasoline V6 version might be even better. The engine might seem small when compared to a full-size truck, but churns out an astonishing 325 horsepower and 400 lb-ft of torque. Economy is a fantastic 26 mpg in the combined cycle, and emissions are just 401 grams per mile. Adding four-wheel drive to the mix drops economy to 25 mpg combined, but emissions are the same. Even powered by a base 3.3-liter naturally-aspirated V6, the F-150 will still do 25 mpg in the combined cycle with 410 grams per mile of tailpipe CO2. Horsepower is 290, and torque is 265. 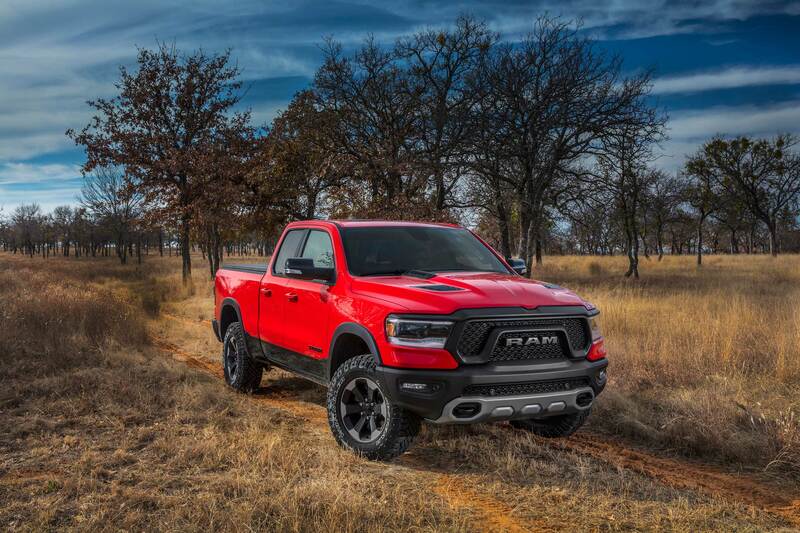 The all-new 2019 Ram 1500 sheds 225 pounds compared to the outgoing model, and uses new active aerodynamics like grille shutters, air dam, and air suspension to achieve a class-leading 0.357 coefficient of drag. A mild hybrid system adds torque when needed, such as at a stoplight or when accelerating with a load, and a stop/start system shuts off the engine to reduce emissions even further. With the stock 3.6-liter engine and optional mild hybrid system, the gasoline-fueled Ram 1500 will return 25 mpg in the combined cycle and produce only 407 grams per mile of CO2. Adding four-wheel drive drops economy slightly to 24 mpg and increases emissions to 418 grams per mile. Production of diesel power for the new Ram 1500 is expected to begin next summer. 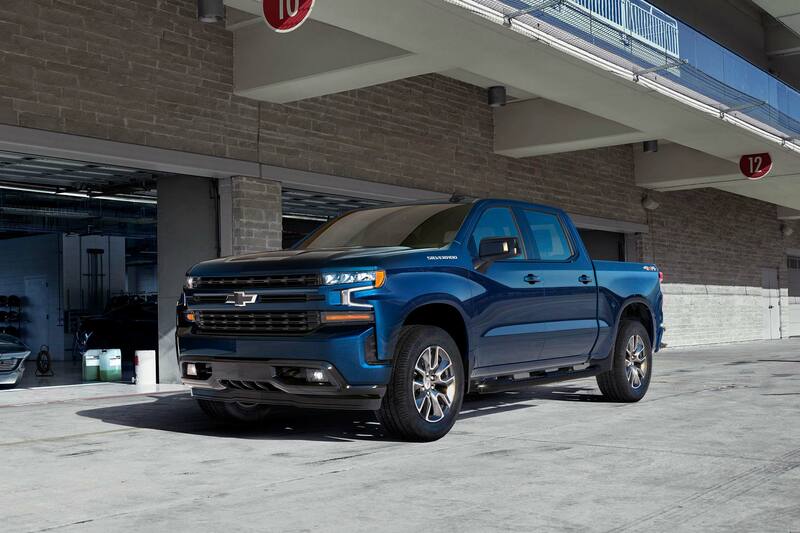 Chevy introduced the eAssist mild hybrid system on its full-size Silverado pickup back in 2016. Paired with a powerful 355 horsepower 5.3-liter V8, the system ups fuel efficiency 13 percent and delivers an additional 13 hp and 44 lb-ft of supplemental torque from the electric motor when needed, such as during acceleration and passing. Batteries are recharged during braking for even greater efficiency. Curb weight increases about 100 pounds, a small price to pay for 20 mpg fuel economy in the combined cycle. On 2018 models, the hybrid V8 offers identical fuel economy to the 4.3-liter V6 and is a hair better on emissions, 448 grams of CO2 per mile compared to 447. For 2019, the 4.3 will be replaced by a 2.7-liter turbo four. The new engine makes 310 horsepower and 348 lb-ft of torque, 22 percent more torque than the V6. Economy and emissions information will be available closer to launch. 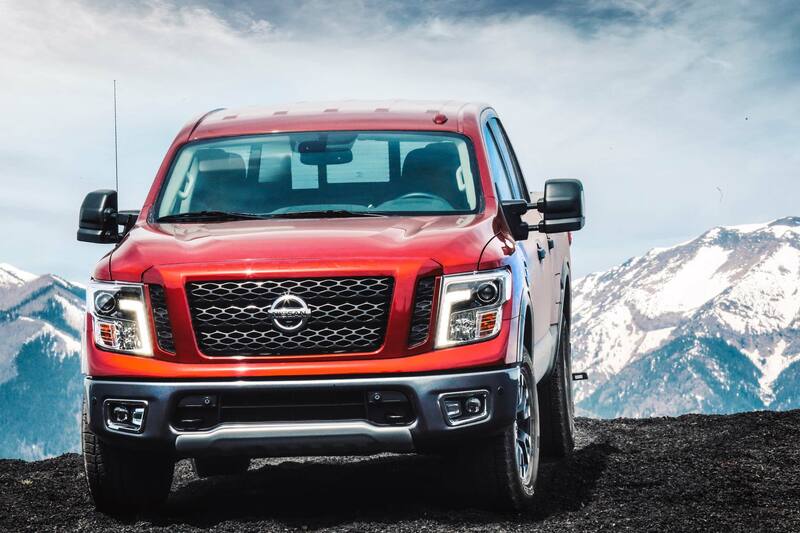 Nissan’s full-size Titan pickup is has a 5.6-liter V8 under the hood that makes 390 horsepower and 394 lb-ft of torque. A seven-speed automatic is the only option, paired to either rear-wheel or part-time four-wheel drive. Fuel economy is 18 mpg in the combined cycle for either model, and CO2 emissions are 505 grams per mile. A base-level V6 has been hinted at for years, which would hopefully help emissions and economy. The Titan’s bigger sibling, the Titan XD, is offered with a diesel engine, but is qualified as a heavy-duty vehicle and therefore not rated by the EPA. Toyota is renowned for the depth of its green vehicle portfolio. Though the Honda Insight was the first hybrid to the the market, the Prius is the one that defined the segment. Toyota now offers hybrid power for most of its portfolio in the U.S.and continues to move clean technology forward with its hydrogen-powered Mirai. The Tundra, then, is surprising. The base 4.6-liter V8 offers just 16 mpg combined and dumps a breath-taking 554 grams of CO2 into the air per mile. Opting for the more powerful 5.7-liter V8 lowers fuel economy to 15 mpg combined and raises CO2 further, to 596 grams per mile. 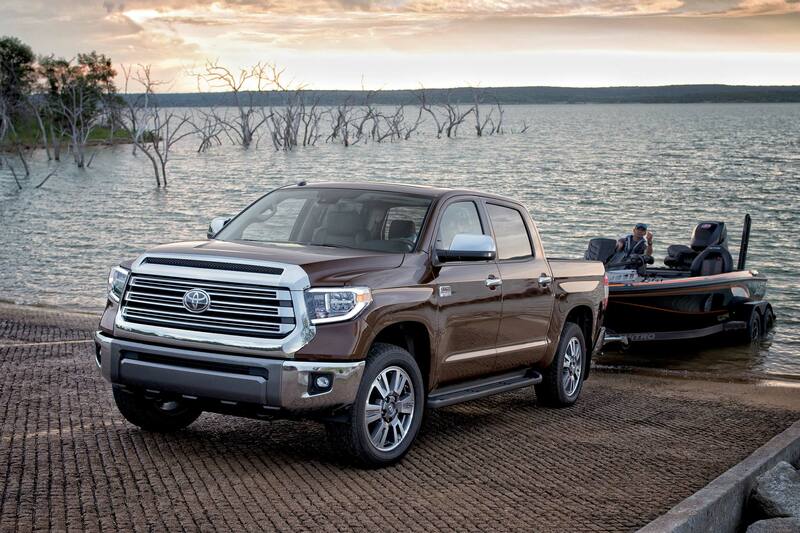 The Tundra currently rests right near the bottom of the list for its high fuel consumption and poor emissions scores. To hit the very bottom, add four-wheel drive to the 5.7-liter. Fuel economy drops to 14 mpg combined, and CO2 boils up to 615 grams per mile.